Teddy Bear Picnic Day --- a popular children's holiday in Canada, Europe, and Australia --- is held every year on July 10. On this day children and parents have tea parties with their teddy bears in parks or kindergarten and preschool classrooms. However, even though many people know that these adorable picnics are part of a tradition, not many people know how the tradition got started. In November 1902, Theodore "Teddy" Roosevelt, the 26th President of the United States, was presented with a bear that was tied to a tree. The individuals that presented Roosevelt with the bear expected him to shoot it because of a failed bear hunt earlier that day. However, Roosevelt refused to kill the bear, prompting cartoonist Clifford Berryman to recreate the scene in the "Washington Post." Soon after Berryman's cartoon was published, Rose and Morris Michtom, shopkeepers in Brooklyn, New York, created a plush bear nicknamed "Teddy's Bear," which became an overnight hit once the bear was placed in the shop's window. The Michtoms sold the rights to "Teddy's Bear" to the Ideal Novelty and Toy Company, who, in turn, began producing the bears. Germany followed suit in 1903 with its own creation of the teddy bear. Margarete Steiff, a seamstress from Giengen, Germany, created teddy bears for the world famous Steiff catalogue. Upon completion, 3,000 teddy bears were sold to the United States. Today, millions of Steiff Teddy Bears have been sold worldwide. In 1907, John Walter Bratton wrote the song "The Teddy Bears' Picnic," the only purely instrumental song in his repertoire. With its bouncy march music, the song became Bratton's only hit that has been recorded by several artists since it was written. In 1932, songwriter James Kennedy wrote the memorable lyrics to the song, making it an instant children's classic. Many singers---Bing Crosby, Rosemary Clooney, Jerry Garcia and Anne Murray---have recorded the song, making it a hit that has outlasted many decades. After Bratton wrote "The Teddy Bear's Picnic," many people felt that Bratton plagiarized portions of the melody. Music aficionados pointed out that the refrain echoed the theme from Robert Browne Hall's "Death and Glory March," which was composed in 1895. Nevertheless, charges were not filed and Bratton's song still has the same tune it had in 1907. Bratton's song reached peak popularity in 1988 when collectibles dealer Royal Selangor launched Teddy Bears' Picnic Day. Based on the song, Royal Selangor celebrated the holiday by releasing jewelry boxes and children's collectibles featuring children and teddy bears enjoying picnics in the park. Many people bought the collectibles and starting giving them as birthday gifts. Soon, children's birthday parties started to have "Teddy Bears' Picnic" themes. Eventually, this particular theme became so popular among parents, preschools and kindergarten classes, that parents and institutions rallied to have the event named a holiday. July 10 was officially named National Teddy Bears' Picnic Day in 1988. Although the holiday has faded in popularity in the United States, Canada, Europe, and Australia still proclaim the day a national holiday, bringing parents and children closer together. Teddy Bear Picnics are mainly celebrated in Canada, Australia, and Europe; each country celebrates the holiday differently. In St. John's, Newfoundland, Canada, adults, children, and teddy bears go to see Terry "The Teddy Bear Man" Reilly and join him for an afternoon of song and dance. In Westmead, Australia, picnics are held all over the city in order to raise money for the Children's Hospital at Westmead. You don't have to go out in a field of daisies to have a Teddy Bear Picnic. In fact, any space is appropriate: living rooms, classrooms, gymnasiums, community centers---anywhere you can think of! Furthermore, the picnics don't have to be just about eating. In fact, you, your children and their teddy bears can do fun crafts, create snacks, and play teddy bear trivia games. For example, if you have construction paper handy, you and your children can create teddy bear ear headbands to wear while having your picnic. For snacks, you can take sugar cookie dough and form it into little teddy bear cookies. The possibilities are endless! 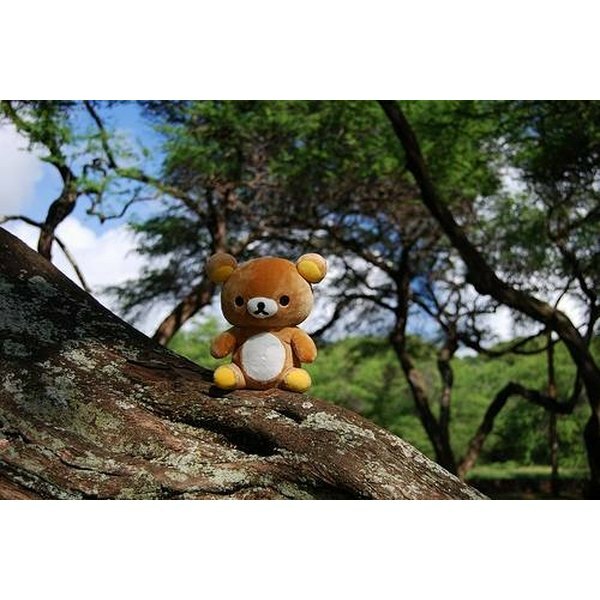 If you have a picnic, make sure you play John Walter Bratten's "Teddy Bears' Picnic" for an authentic feel.